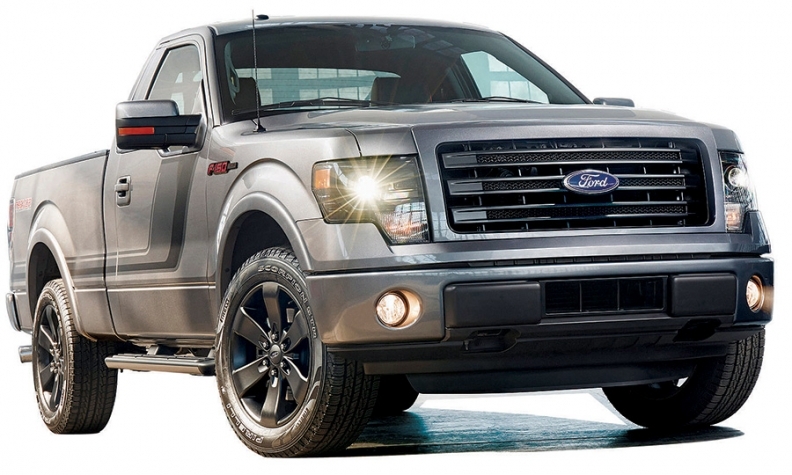 The 2014 F-150 Tremor is a short-wheelbase pickup aimed at performance enthusiasts. With two major redesigns and a new nameplate in 2013, Ford served notice that it could play in segments that the Asian brands traditionally have dominated: compact crossovers (Escape), mid-sized sedans (Fusion) and hybrids (C-Max). In 2014, Ford turns its attention to its traditional stalwarts: the next-generation Mustang (spring 2014) and F-series pickup (mid-2014). Both already are generating Internet chatter of the type Ford's marketing chief Jim Farley loves. But Ford has more than its two high-profile launches up its sleeve as the One Ford global product plan filters across the lineup. A re-engineered Fiesta subcompact is arriving in showrooms. Two EcoBoost engine options for the nameplate are coming this year. Ford also is making noise in the commercial-vehicle market with a redesigned Transit Connect and Transit Connect Wagon followed by a new full-sized Transit van. The Transit will replace Ford's E series. The smaller Transit Connect arrives first, followed by the full-sized Transit. Ford will sell the E series for most of 2014. But 2014 will be all about two models. The Mustang is Ford's image car, and the F-150 is its profit machine. Ford has spent the last several years proving to the world it can make something besides gas-guzzling pickups, SUVs and muscle cars. Now Ford is going back to its roots to defend its home turf, and you'll be hearing a lot about the new Mustang and F-150 in the months to come. Here's a look at Ford's plans. 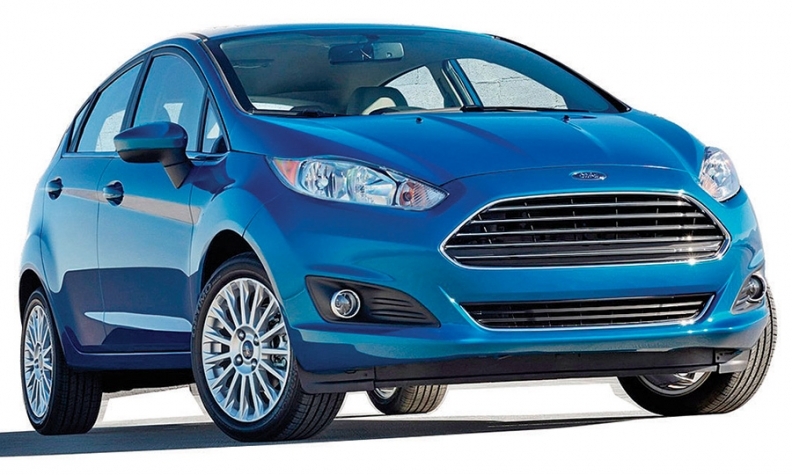 The Ford Fiesta subcompact will be re-engineered for 2014. It eventually will offer a choice of three engines. Fiesta: Ford is re-engineering the subcompact for 2014. The Fiesta gets refreshed styling that includes Ford's signature trapezoidal grille. The Fiesta eventually will be offered with three engines, including two EcoBoost models: the 1-liter three-cylinder and the 1.6-liter four-cylinder. The base Fiesta, powered by a naturally aspirated 1.6-liter four-cylinder, has begun arriving in dealerships. It will be followed by the sporty Fiesta ST, powered by the 1.6-liter EcoBoost, which will crank about 197 hp. The ST, a five-door hatch only, will follow in the footsteps of the Focus ST as Ford seeks to establish its credentials for European-style hot hatchbacks in North America. Following the ST in the fourth quarter will be a version of the Fiesta powered by the 1.0-liter EcoBoost, Ford's fuel-efficient diesel-fighter. Though the car hasn't been certified for EPA fuel economy, Ford estimates it will exceed 40 mpg. Initially, the 1.0-liter Fiesta will only be available with a manual transmission, which could slow sales. Focus: The Focus is scheduled to get a design freshening in 2015, along with possible powertrain enhancements. Look for it to get Ford's new 1.5-liter four-cylinder EcoBoost engine. Ford may take a page from its own European playbook and also offer the Focus with its smallest EcoBoost: the 1.0-liter three cylinder. The Focus SE gets a new Sport Appearance package for 2014. The Fiesta and Focus are also candidates for Ford's nine-speed automatic transmission, which may eventually replace the PowerShift dual-clutch transmission. Fusion: The main change for the Fusion in 2014 is that the 1.5-liter EcoBoost engine will be added. The 1.6-liter EcoBoost will still be offered, but with only a six-speed manual transmission. The 1.5-liter EcoBoost is likely to eventually replace the 1.6-liter throughout Ford's lineup because the 1.6 is taxed at a higher rate in many European countries. The 1.5 has the same output as the 1.6, but is taxed at a lower rate, so Ford is going the 1.5 in most markets as part of the One Ford product standardization plan. Ford will make its inflatable rear seat belts available on the Fusion for 2014. The Fusion is scheduled for a freshening in 2016. Taurus: The Taurus got a freshening in 2013 and is scheduled for a redesign in 2015. Mustang: Ford's American pony car is going international, and that means big changes for the 2015 model year. The sixth-generation Mustang will get an independent rear suspension and will be offered with turbocharging for the first time since the limited-edition Mustang SVO of the 1980s. Ford's challenge with the new suspension will be weight. Independent rear suspensions are heavier than the current solid rear axle setup. With that suspension, Ford has enjoyed a significant weight advantage against the archrival Chevrolet Camaro. The Mustang also will be sold in locations such as the United Kingdom and Australia with right-hand drive. A four-cylinder engine, likely a 2.3-liter EcoBoost, will be available in Europe and possibly North America. Reports have said the turbocharged four-banger could exceed 300 hp. The Mustang also will be available as a convertible, though that model will arrive some months after the hardtop. C-Max: Ford's hybrid-only hatchback remains the same for 2014. It is scheduled for a freshening in 2016. Ford is adding engineers to its vehicle electrification team to work on better batteries and electric propulsion systems, so look for the C-Max to evolve. Escape: Ford introduced a redesigned version of its compact crossover in 2013. For 2014, Ford has made its Hands-Free Liftgate and Class II towing package available together. A freshening is likely in 2016. Expect the Escape to get the new 1.5-liter Ecoboost engine, which is also going into the 2014 Fusion. Edge: A redesigned 2015 Edge should arrive in the second half of 2014. Ford has said the next-generation Edge will be sold in Europe. The Edge is built on Ford's global mid-sized platform, same as the Fusion. The question is whether the Edge will follow the Fusion in dropping the V-6 engine, meaning that customers who want a V-6 would have to step up to the Lincoln MKX. The Edge competes against cross-overs such as the Cadillac SRX and Honda Crosstour. Explorer: The Explorer gets minor changes for 2014, including performance enhancements borrowed from the Explorer Sport. Among those are a solid-mounted electric-power-assisted steering rack for improved feel both on and off road, and bigger brakes. For its 2015 re-engineering, Ford may dump the slow selling 2.0-liter EcoBoost in favor of a new and more powerful 2.3-liter version. Flex: The Flex presents Ford with a dilemma. Ford's largest crossover is a slow seller most everywhere except California, where it enjoys a certain beach-wagon chic. And California is where Ford is pushing hardest to gain ground on Japanese rivals. For 2013, Ford made some styling changes on the Flex, putting the Flex logo in huge block letters across the front and shrinking the Ford brand logo. The Flex is scheduled to continue in the Ford lineup until at least 2015 but may be discontinued after that. Expedition: The Expedition is the last of Ford's body-on-frame SUVs, but it still has an audience of customers who need to tow big loads and carry passengers. The vehicle gets a few minor changes for 2014, including a new optional mechanical load-leveling system that Ford says is quieter than the current air-based system. The Expedition may get Ford's 5.0-liter Coyote V-8 engine. F series: Truck enthusiasts are eagerly anticipating the arrival of the redesigned 2015 F-150. In January, Ford stoked the excitement at the Detroit auto show by unveiling the Atlas Concept, a big, beefy-looking pickup loaded with gee-whiz technology. Insiders say the production truck, likely to be introduced at the Detroit show in January, will closely mirror the concept. The F-150 is likely to get one of Ford's new smaller Nano V-6 engines. The truck will use more aluminum to save weight. Ford has committed to a companywide effort to save up to 750 pounds per vehicle, and the F-150 will be the poster child for that effort. The Atlas Concept had aerodynamic features such as an active grille, wheel shutters and a drop-down front air dam. There's a feature called Dynamic Hitch Assist that helps drivers take the guesswork out of lining up the trailer hitch. Other features include hidden cargo ramps, a 360-degree camera and a dual-purpose cargo cradle and liftgate. With new versions of the Ram, Chevy Silverado and GMC Sierra nipping at Ford's heels, expect many of these features to make it into the production model. The extended-cab version will come with a suicide-style rear door that opens nearly 180 degrees. Before the 2015 F-150 arrives, Ford is adding another model to its F-150 lineup in 2014. The Tremor -- a short-wheelbase, regular-cab street truck that will accelerate like a rocket -- is geared for performance enthusiasts. The Tremor is the first regular-cab F-150 powered by Ford's 3.5-liter V-6 EcoBoost engine and the 11th pickup in the F-150 lineup. Ford said 0-to-60 mph acceleration times should be in the 6-second range. The Tremor has an electronic locking rear differential that's standard on both two- and four-wheel-drive versions. Ford said it will offer a natural gas conversion version of the F-150 in 2014. The option will be available on Ford's 3.7-liter V-6 engine. Redesigned versions of the Super Duty pickups should follow in the first half of 2015. Transit Connect: The redesigned 2014 Transit Connect will arrive in dealerships in early 2014. It will be available in both cargo van and wagon forms and in two wheelbases, unlike the current model. The Transit Connect Wagon will come in five- and seven-seat configurations. The wagon and van will come in short- and long-wheelbase versions. Ford has avoided using the dreaded "M-word" -- minivan -- to describe the Wagon, but Ford execs are hoping the Wagon will lure some budget-minded customers out of rival brands' minivans. The Wagon will be available in three trim levels: XL, XLT and Titanium. Though fuel economy numbers aren't official, Ford says the Transit Connect should get around 30 mpg on the highway. The Transit Connect will be offered with two four-cylinder engine choices. A 2.5-liter naturally aspirated four-cylinder is standard, and the 1.6-liter EcoBoost is optional. When properly equipped, the Transit Connect will be able to tow up to 2,000 pounds. The Transit Connect will be made in Valencia, Spain. E series: Ford's E-series van will be manufactured in van and wagon versions through most of 2014 before being discontinued and replaced by the Transit. Production of cutaway and stripped-chassis versions will continue well into the decade, Ford says. Transit: The Transit full-sized commercial van is scheduled to arrive in mid-2014, replacing the E series. The Transit will significantly increase options for Ford commercial vehicle customers, who will be able to choose from three body lengths, two wheelbases, three roof heights and van, wagon, chassis cab and cutaway versions. Ford will offer a diesel option -- a 3.2-liter, five-cylinder Power Stroke. Ford also will offer a 3.7-liter gasoline-powered V-6 and a 3.5-liter EcoBoost. All engines will be teamed with to a six-speed automatic.